To celebrate American Craft Beer Week, I’m keeping it local, as local as I can. 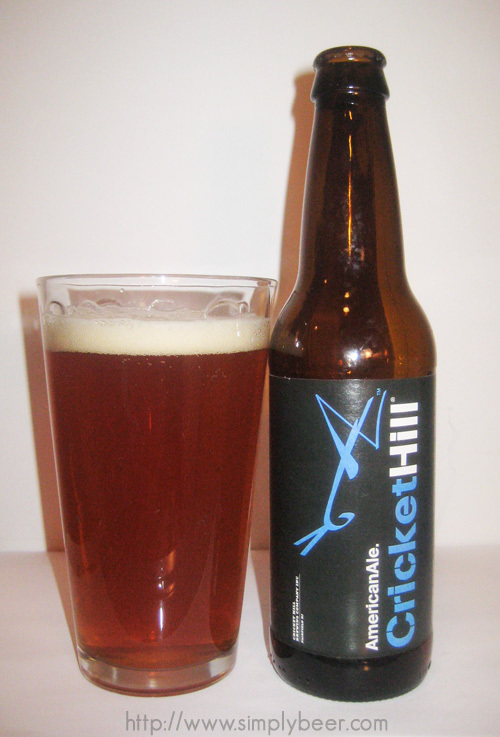 Cricket Hill is the closest brewery to my house in New Jersey. There are only 13 breweries in New Jersey (can you believe that! ), I wish there was more choice since the breweries that are here have good beer; I like to have variety and choice. Of Cricket Hill’s beers, the American Ale is one of the two more widely available in North Jersey both on tap and in bottles. Out of the bottle, give this beer a good steady pour, 45 degree to upright to get a good head. The Beer is amber with a slightly orange hue, good initial off white head, good head retention, slightly hazy. Crisp, slight citrus and fruity followed by a long mild hop bitterness on the end. A classic tasting pale ale. A great session ale, at 5% abv, you can and will want to drink a bunch of these, very enjoyable. As a fairly mild Pale Ale, this would go well with most grilled meats that are not overly spiced. I’ve thought about picking this up a couple of times for the same reasons as you but I’ve never seen a review….until now. I have been turning to River Horse for my session APA before but you’ve convinced me to give this a try.